This article by Neeta Verma, Alka Mishra and D.P. 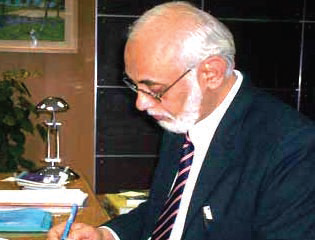 Mishra was published as a lead story in the July 2012 edition of Informatics Magazine, printed by the National Informatics Centre. Online publishing of Government data in open format shall play an important role in enhancing transparency and accountability of the government. It shall enable new forms of citizen engagement & innovation in citizen service delivery. More customized & personalized services could be offered to citizens. When implemented at large scale it shall bring a paradigm shift in development of e-governance applications. At NIC we have recently developed an Open Government Platform (OGPL) to enable government ministries & departments to launch their open data initiative. OGPL as a product caters to two sets of users - the government and the citizen/civil societies. It facilitates government departments to contribute their datasets, Apps, tools, documents, services etc., which gets validated and published, after passing through a predefined workflow to the citizen interfacing data portal. The single-point citizen interface is designed in such a way that catalogs can be searched with ease and datasets can be accessed/downloaded in various open formats. It also provides a platform for citizens and civil societies to engage with government on various aspects of socio economic development. OGPL also facilitates building of subject specific communities through Citizen engagement modules. Communities shall discuss online the kind of datasets, government should release and also what kind of apps should be developed around these datasets. This shall provide first hand information to government as well as developer communities on public demand and prioritize their schedules accordingly. Data Portal is the citizen facing frontend of the OGPL which shall provide single point access to all the datasets, apps as well as services. Portal has a strong component of search, discovery as well as citizen engagement. The development of the data portal is in compliance with the Guidelines for Indian Government Websites (GIGW). This Citizen interfacing Data Portal would also have a Communities component built into the system. This component facilitates Forums/Discussions around various datasets, apps available on the portal as well as platform to express and discuss the kind of datasets & apps they would like to have. This shall give first hand input to development community for building new components, apps. It shall also give input to departments as what kind of datasets are more useful and accordingly can raise the priority of their release. Metrics, analytics & feedback from citizens: Metrics help understand amount of datasets uploaded, updated by different Departments. Frequency of upload is also available on a single dashboard. Analytics module gives use perspective in terms of their usage of datasets, Number of downloads, aggregated ratings provided to datasets determine their value and to some extent quality of data released by government. Feedback from citizens provide government with first hand input from citizens on quality, relevance of datasets, new datasets needed, kind of apps need to be developed, etc. OGPL isn't simply about setting up a new web platform, moving to cloud computing or adopting open standards but it's about establishing a platform to enhance transparency, accountability & foster development of Innovative applications to better serve the citizens & other stakeholders. Open government data is gaining a lot of popularity & acceptance with governments across the world. Its led by government themselves, development communities, international organisations. OGPL is a perfect platform for them to launch their open data initiative. In India, National Data Sharing and Accessibility Policy (NDSAP) has been recently notified by the Government. According to this policy, all government departments shall release their datasets in open format for citizens and other stakeholders to freely use & reuse. To make these datasets easily accessible by citizens, policy has also mandated NIC to provide technology solution for establishing an Open Data Portal (http://data.gov.in) for Departments, Subordinate Offices and Organizations. OGPL implementation in India is being executed by NIC, DeitY in close coordination with DST. OGPL is an open source product with generic architecture, which would easily facilitate other organizations and institutions to adopt for their open data initiatives. Communities could also contribute further by developing innovative apps around datasets and also enhancing the product in terms of features & functionalities. The purpose of the platform is to enhance access and use of government data to foster innovation, promote transparency, accountability and public participation. I am sure it shall go a long way in democratizing the government information. Open Government Platform (OGPL) was developed jointly by India & US government as a result of announcement made by President Obama and Prime Minister Manmohan Singh during the Indo-US Open Government Dialogue in 2010. OGPL leverages on the best practices & features of the India’s “India.gov.in” and the “Data.gov” of United States.National Informatics Centre (NIC) from Government of India and General Services Administration (GSA) of United States executed the development of OGPL. Open Government Platform, developed to promote access to government data and information and energize citizen engagement was launched by Hon’ble Minister of Communications & IT and HRD, Govt. 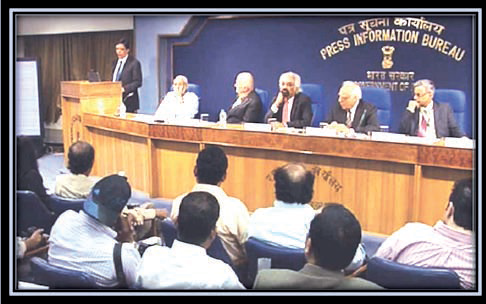 of India during a press conference held on 30th March 2012 in New Delhi in presence of Dr. Sam Pitroda, Advisor to Prime Minister of India. Secretary(DEITY), DG(NIC) & Joint Secretary, MEA also participated in the press conference, Senior officers from US Government & US Embassy were also present along with GSA team in India. CIO, US Government along with Deputy CTO also addressed the event over video conference. Open Government Platform is completely developed using Open Source Stack. In fact complete management of the collaborative development of OGPL by two teams stationed in two continents of the world was also handled using open source tools.It complies with the best practices of open source development, which helps in leveraging the strengths of future versions of the open source base products used in development of OGPL. innovative apps around the published datasets. This shall define a paradigm shift in the manner electronic government applications shall be developed in future. The entire source code is made available to public for review, feedback and participation for further development and enhancement. OGPL has a strong component of Citizen engagement. Citizens can view, download datasets as well express their opinion on the quality of datasets, they can rate the datasets on a scale of 1 to 5. One can embed a dataset in their blog or web site as well as contact the owner of the datasets for any query or clarification. One can also publish or connect the datasets on their social media pages such as facebook, twitter etc. for wider reach. Ratings given by citizen are transparently shared on the portal in terms of number of views, current star rating which help new visitor understand quality of data sets, its popularity. Portal also enables visitors to submit their ideas, feedbacks and as well suggest datasets they would like government to release in open domain. These ideas are further rated by citizens to help government allocate priority in release of data sets.